In previous posts, I’ve been focusing on projects from the past year or so and dissecting and discussing them in hindsight. Well, the next two posts are going to change that up a bit and focus more on a campaign that is out now, and the show hasn’t even aired. Regardless, the intent of this blog remains the same – not to shamelessly promote an upcoming show, but rather to discuss the process that went into the campaign, and hopefully share some helpful insights. 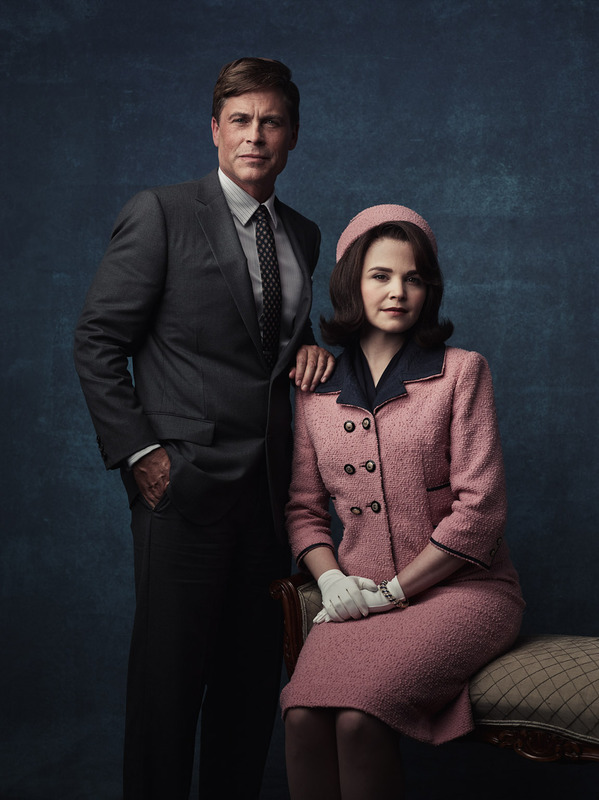 Rob Lowe and Ginnifer Goodwin as JFK and Jackie. 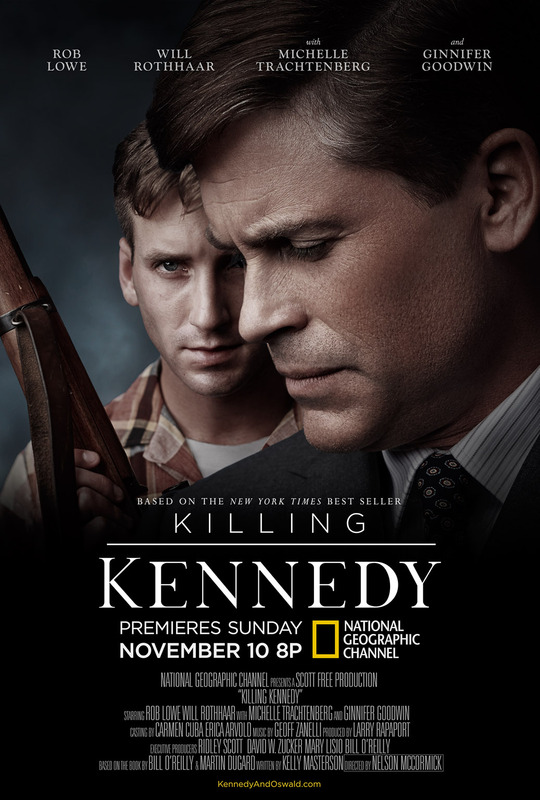 Photo by Joey L.
“Killing Kennedy” is a follow-up, of sorts, to the hugely successful film “Killing Lincoln” (which I discussed in the most recent blog post before this one) on the National Geographic Channel. The book was co-authored by Bill O’Reilly and Martin Dugard, telling the story of two men on a collision course to that fateful moment in Dealey Plaza in Dallas, Texas in 1963 – 50 years ago this November. This film is a huge endeavor for NGC for a few reasons. 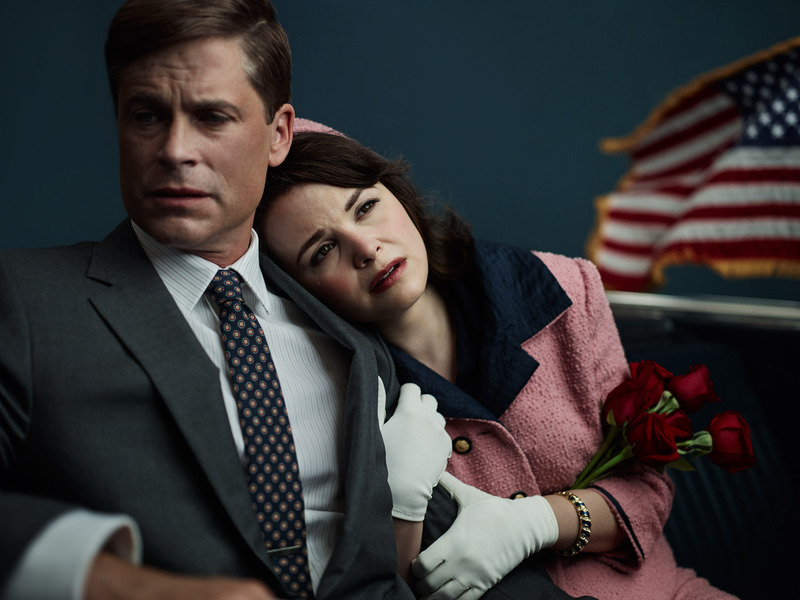 It has incredible talent in the 4 key roles: Rob Lowe as JFK, Will Rothhaar as Oswald, Ginnifer Goodwin as Jackie and Michelle Trachtenberg as Marina Oswald. It also is the first 100% scripted drama for the Channel, with no narrator or voiceover telling the story. To enter the scripted space, with such an iconic and riveting event from American History, is an exciting challenge. 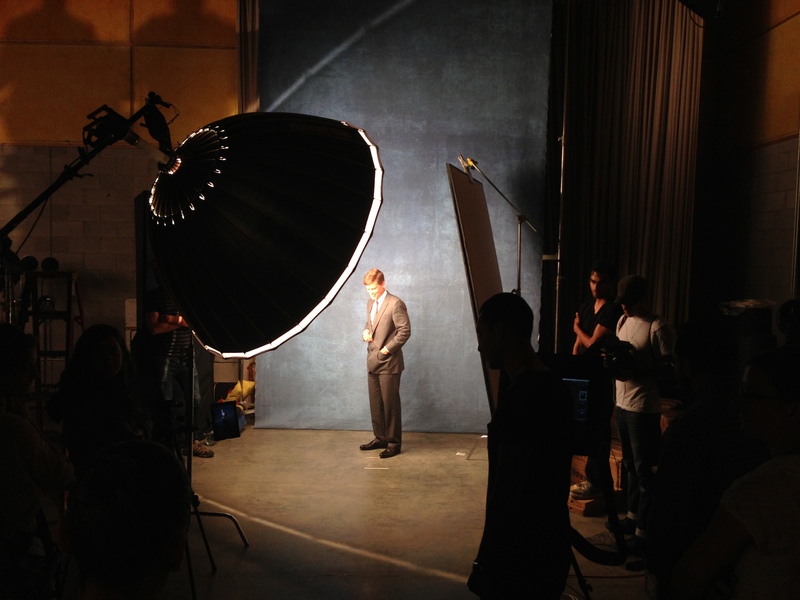 Rob Lowe as JFK under the enveloping glow of the Briese light. We wanted to make it big, showcase our A-list talent, and give it depth and dimension. While the thrilling and intense ending (spoiler alert!) with the assassination is gripping and surreal, before that happens it’s actually quite an emotional film that takes us inside the lives of the four principal characters’ lives. Similarly to how “Killing Lincoln” was marketed as a dual story of Lincoln and Booth, this film’s uniqueness lies in telling the Oswald story. Seeing what motivated his actions, and delving into his personal life in greater detail is a story not that well known. The strength of the film is that it is both thrilling and emotional, as it tells this unforgettable story in American history. 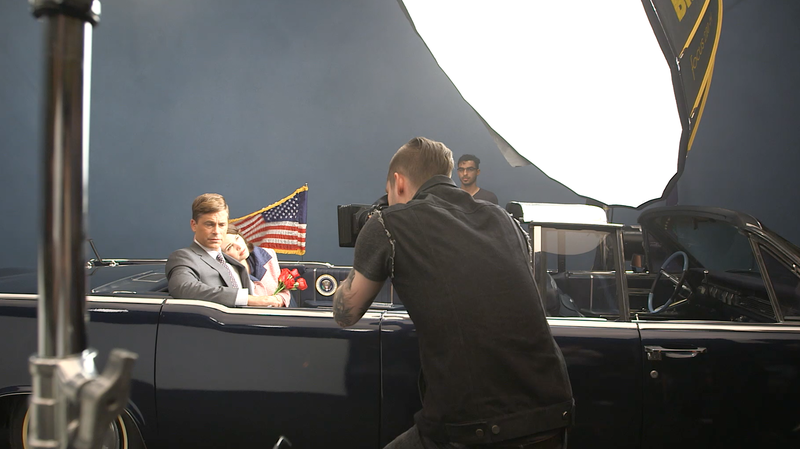 Rob Lowe as JFK. Photo by Joey L.
Once again, as with “Killing Lincoln” we had a Hollywood movie to contend with – the release of “Parkland” just one month prior to our premiere was certainly not ignored. 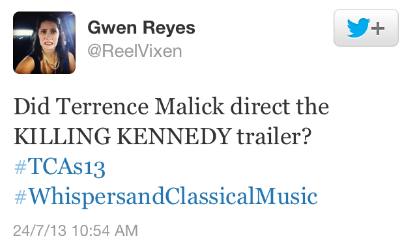 We saw their trailer (which is excellent) and thought about what our film had that theirs did not. 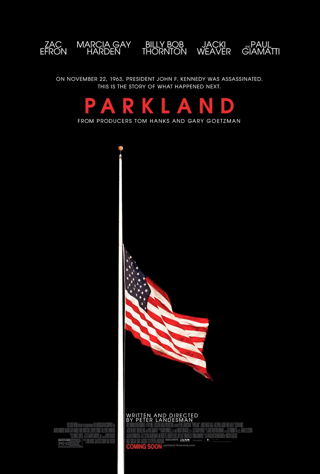 The Oswald story clearly was an angle that their marketing didn’t embrace, and their key art was graphic and simple, just an illustration of a flag at half-mast. Clearly less is more, but it cannot be mistaken for our film’s marketing materials. “Killing Kennedy” final key art. Photo by Joey L.
I have not yet seen “Parkland” at the time of this post, but I am guessing that they took a more graphic key art approach because Paul Giamatti playing 8mm filmmaker Abraham Zapruder doesn’t immediately bring to mind the JFK story since not many people know what Zapruder looked like. The other challenge is that with November being the 50th anniversary of the assassination, the market is bound to be crowded with JFK programs and events, so needing to stand out and feel different is important. A final challenge for this project was that JFK has been portrayed by many different actors in many different films over the years. 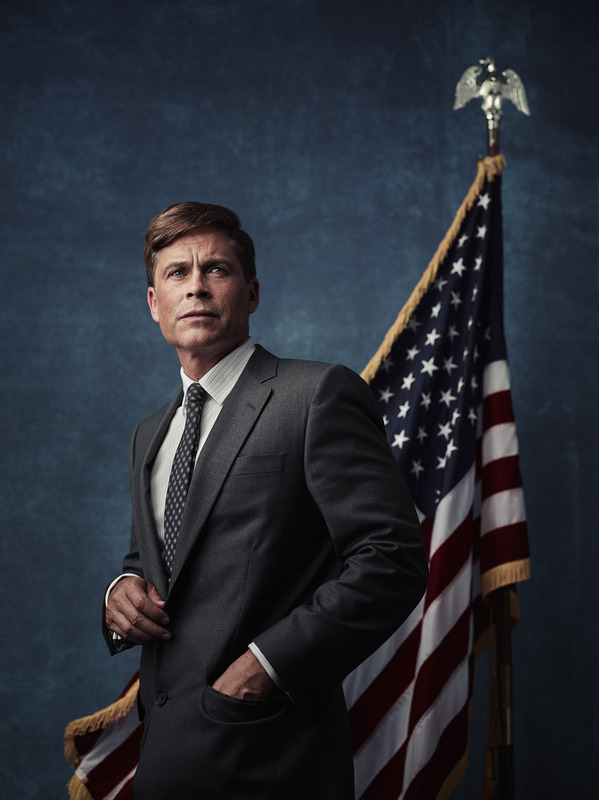 With Rob Lowe as JFK, we felt like we had the perfect actor in place – he nailed the famous accent, and he looked very much the part. While we wanted to make sure we had talent who looked like a ringer for the real person, we also wanted to make sure it was clearly Rob Lowe, since he is a very well known actor and on-screen talent. Balancing those two factors – making sure it was clearly JFK AND Rob Lowe was something that really came into play with print and key art, as we went through hundreds of images to select the ones that felt like the perfect blend. 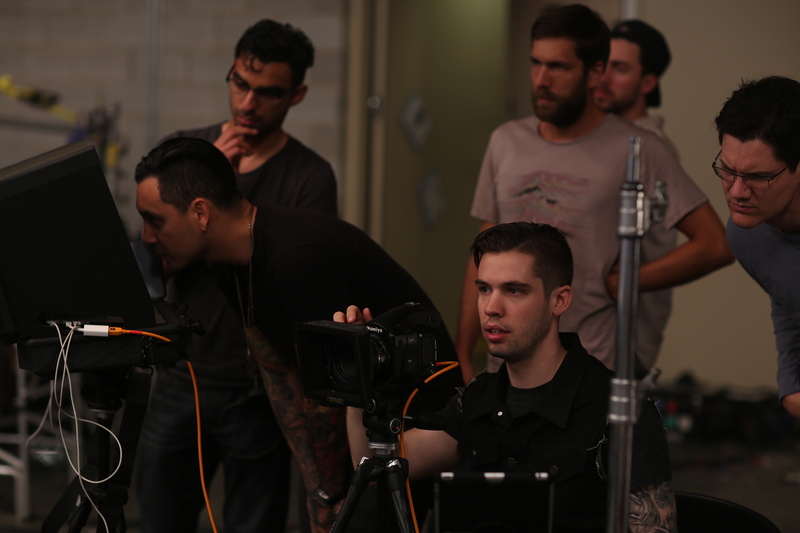 Variable DP Khalid Mohtaseb lights the client’s son visiting the set on pre-light day. While I fully admit this may sound like a broken record for this blog, we once again turned to our great friends and co-collaborators Variable and Joey L. for this project. As you will see in the next takeaway, there’s a reason for that. But before we get to that first takeaway, we also added another few partners into the mix for our TV campaign, and those were The Mill and Dan Marks of South District films. Early on, before we started any creative development, we knew we wanted to use what we had learned on the “Killing Lincoln” campaign – and also step up the production quality even more in the final on-screen product. Will Rothhaar as Lee Harvey Oswald. Photo by Joey L.
We knew we wanted to include a visual effects partner to help us get to that goal, and since Variable had an existing relationship with The Mill from projects like the “Vikings” open title sequence, it seemed like a perfect fit. We also worked closely with the editor Dan Marks at every stage in the project on the spots that The Mill was not going to be cutting. An additional consideration was finding a way to inject more emotional resonance into this campaign. With new Creative Director Tyler Korba joining the NGC team, we added an incredible writer and storyteller that could help elevate the spot beyond the stunning visuals – and could bring in a new depth to the promos. Between all of these talented people (and another incredible collaborative partner that I’ll discuss in Part 2 of this series), we had an absolute dream team to help us bring this campaign to life. Director Jon Bregel capturing personal moments between Jackie and JFK. Photo by Cale Glendening. 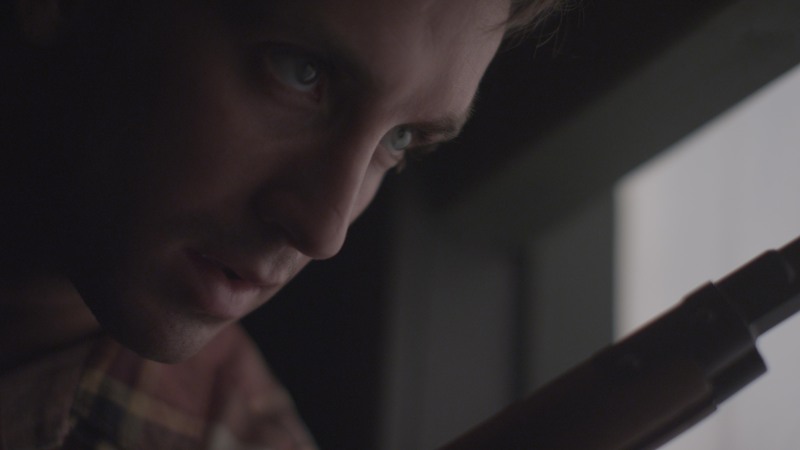 Oswald in the window – Red Epic frame grab shot by Jon Bregel. TAKEAWAY #1: GO WITH WHO GOT YOU THERE. Almost immediately after we knew that “Killing Kennedy” was going to be on NGC, I had a pretty good feeling that we’d partner up with Variable and Joey again. Here’s just a few of the similarities of the production between “Killing Kennedy” and “Killing Lincoln”: 1) Both were shot in Richmond, VA. 2) Both were filmed and produced by RSA, Ridley Scott’s production company. 3) Many of the film’s crew were the same, including props and art direction, as well as producers and executives. 4) We had only 2 days to get everything we were going to need with talent, which all needed to be coordinated with a crew that was IN production on the film. 5) We needed to shoot a lot of stills and TV elements, requiring intense collaboration between TV and print teams. 6) The films were both rather similar in content, obviously covering assassinations of iconic Presidents with the stories putting just as much emphasis on the assassins as the victims. Art Director/Set Designer Joe Sciacca putting the finishing touches on the set, with an indoor grassy knoll. With all of these parallels in terms of creative and logistics, it just made sense to jump into it with partners who understood our objectives and were also very familiar with the production realities of Richmond. And of course, since “Killing Lincoln” was the Channel’s highest rated two hour special in history, we had a good track record for success. I think sometimes it can be tempting to go with ‘new’ just for the sake of it but sometimes when you go with who got you there the first time, you’ve covered a huge amount of ground without having to say a thing. 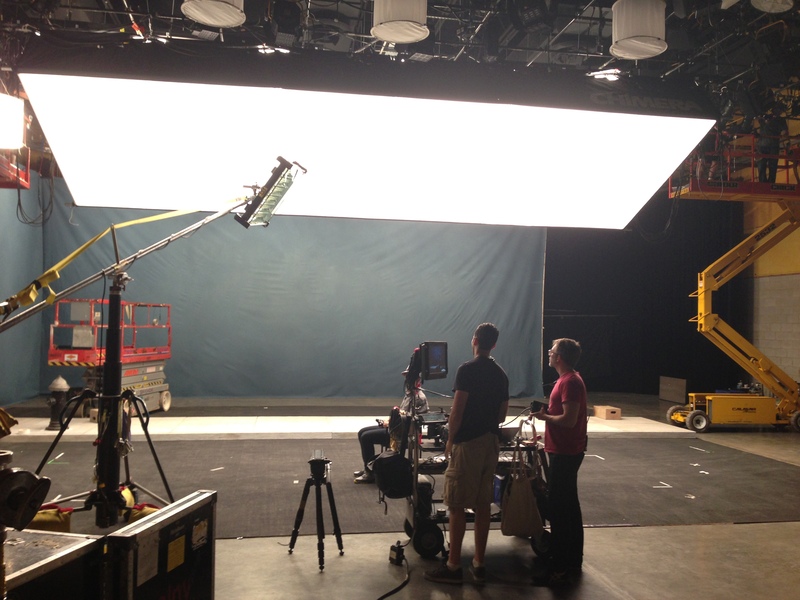 Early and often, it proved to be a great decision, as those established relationships between teams and even smaller details like knowing contacts at the sound stage where we shot was very beneficial to the production. All of those little bits of knowledge from the Lincoln production added up, and allowed us to devote more time to creative ideation, since so much is already known about the location and players involved. And while there were some unexpected wrinkles that came up, once more the insanely prepared and thorough team at Variable was ready for them. And beyond the logistical component of picking Variable, we also knew that stylistically we need a team that could adapt and change visually. Lincoln, in many ways, felt like a campaign entirely lit by candlelight. Moody, dark, brooding and almost monochromatic worked perfectly for a story set in 1865. For Kennedy, we wanted to introduce more light, and inject that sunny feeling in America that Kennedy’s Presidency embodied. The campaign needed that hint of optimism – before it was turned upside down by the assassination. We knew that the team in place would be able to make those creative adjustments, and reflect this evolution in the lighting and mood. Pre-light day with the 40-foot softbox light. TAKEAWAY #2: YOU’RE ONLY AS GOOD AS YOUR IDEA. AND YOUR PITCH. With a movie event this big, with talent of this caliber, we knew that everyone internally was going to want to know what we had up our sleeve for this campaign. This is the part of the process that often goes overlooked, and that is the internal sell-in to MY “clients.” Once we had locked in an idea with Variable and The Mill after many weeks of discussion, revisions, tweaks, re-writes and collaboration, we had a very nice PDF with .mov samples of visual effects, audio files of JFK’s last speech (which we tentatively planned to use as a backbone to the creative), 8mm and time-period appropriate images of JFK and Oswald, and even some schematics for our “bullet in reverse” concept. Rama Allen, the director from The Mill, was incredibly passionate and collaborative, and discovered some incredible ideas we never thought of, such as using the haunting and foreboding final speech by JFK on the day of his death. Rama’s passion for this project never waned and can be seen and felt all the way through to the final product. 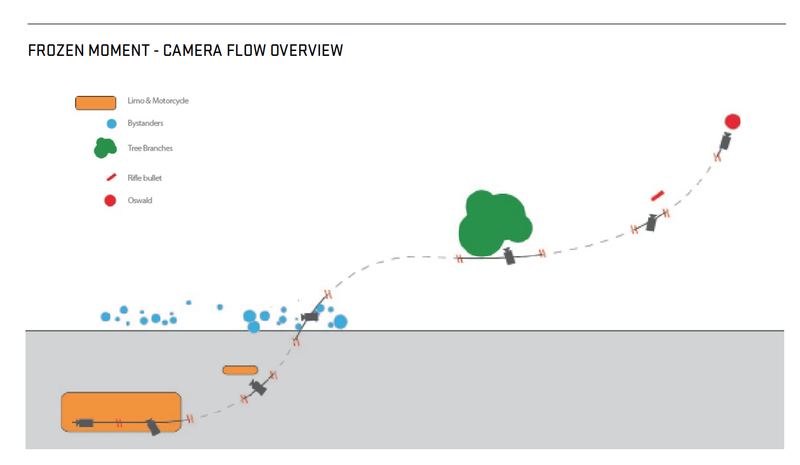 Schematic of the bullet’s path and where the camera would pick it up along the way. There was no doubt that the idea was strong – essentially, we wanted to follow the path backwards of the fateful bullet that took JFK’s life – and go in reverse through the car, the crowd, the trees and into the muzzle of the rifle. 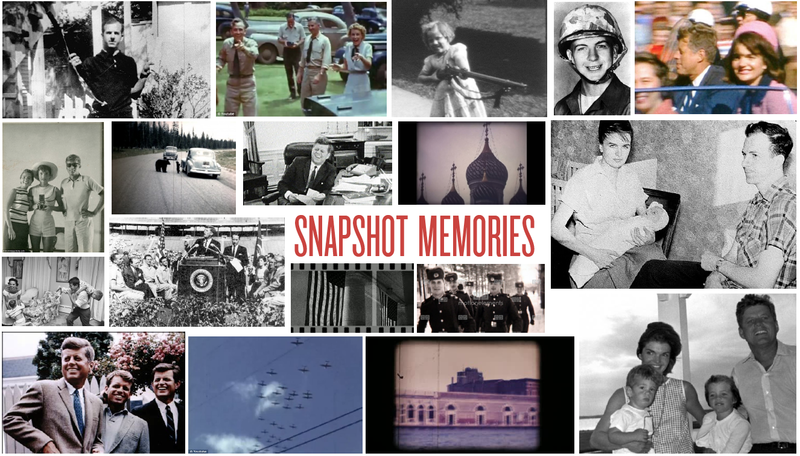 At the same time we would be intercutting ‘real’ moments – “snapshot memories” that would be shot in 8mm or treated Red footage that would be tracing the moments before the assassination in the lives of Oswald, Jackie and JFK. That feeling of going backwards and forwards towards that same moment simultaneously captured the “two paths colliding” notion of the film. In another recurring theme from The Client Blog, we also entered the shoot with options. One was to have the spot use JFK’s final speech as the VO backbone, and another option was to script something using Oswald as the narrator. 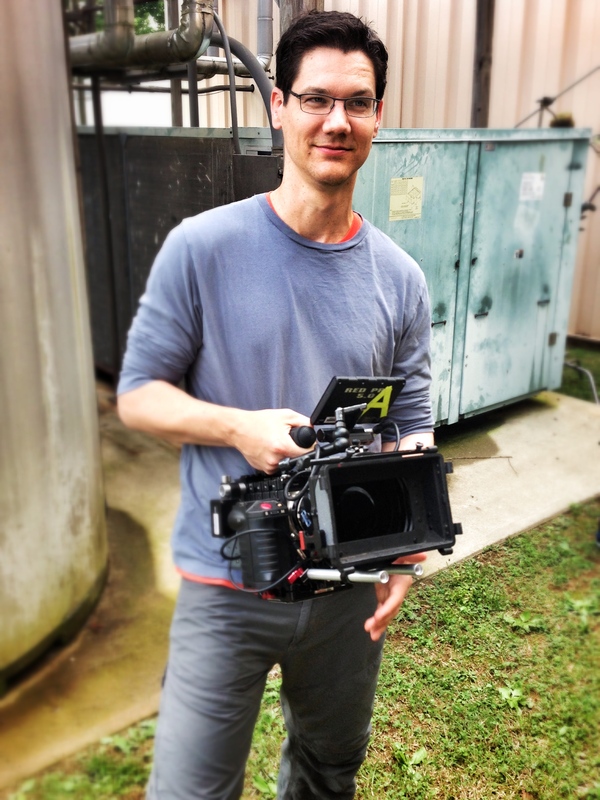 Tyler Korba penned 3 incredible scripts, and we were locked and loaded with lots of options to figure out in edit. In addition to capturing materials that would be used on that one specific promo, we’d also overshoot footage of our actors and extras and props with the goal of having coverage for additional promos, sizzle reels, and marketing materials. Now it was my job to ensure that the great idea got through. In the course of 2 weeks, I pitched the concept about 15 times (I lost count) to different teams, whether it was the show runners, the Executive Producer, our CEO, CMO, President, Press, our marketing team, Ad Sales, Research, International Partners, and the list goes on and on. It’s a good reminder that there’s still more work to be done after the creative process between the outside team and my team before I, as “the client” can fully green light the concept and production. The beauty was that The Mill and Variable had armed me with all of the tools to blow people away, and we’d done so much collaboration on every single aspect of the idea that I wasn’t selling in someone else’s idea – it was all of our idea, created and collaborated on together. TAKEAWAY #3: PREPARATION, PREPARATION, PREPARATION. It’s a very obvious statement to say that preparation is the key for success. But it cannot be emphasized enough that in an endeavor such as this one, you need to over-prepare so that you leave yourself the room to discover great opportunities once you begin. This shoot was also unique in terms of just straight up logistics. We ran 3 or 4 different sets at the same time, all under the same roof, and we had 6 different locations within that space where we were physically shooting any any time. Our creative concept was such that we not only needed straight coverage, shot guerrilla style with the talent, but we also needed to shoot very elaborate visual effects on Phantom Flex cameras with the team from The Mill. So we had 3 units – the Phantom Unit overseen by Rama Allen of The Mill, the Red Unit helmed by Jon Bregel of Variable, and the still photography team led by Joey L.
The entire layout of the sound stage, with multiple locations/crews/shots, using every possible square foot of space. They were all sharing our 4 key talent, who were coming and going from set to set with a technical precision I still can’t believe ran so smoothly. Since we were working on the crew and talent’s weekend, we worked very hard to fill every moment and minimize downtime to get them in and out quickly. That meant that in one moment, Rob Lowe and Ginnifer Goodwin were shooting Phantom portraits in the Limousine on the feature set, while Will Rothhaar was doing gun closeups with Jon and the Red, while Michelle was doing still portraits with Joey…and so on, and so on. We had a matrix of shots, sets, crews, and time that kept it all in line, and a huge amount of credit goes to Tyler Ginter, Alex Friedman of Variable, Kevin Lahr the Nat Geo production manager on the job, and the entire production team for making that all happen. And it was another classic example of how preparation can set up your entire shoot for success, and I even heard that Rob said it was one of the best shooting experiences of his entire career. Joey L. on set. Classic client move: Andy looking-over-the-photographer’s-shoulder. Photo by Cale Glendening. TAKEAWAY #4: DON’T FORGET ABOUT PRINT – AND LET YOUR TALENT HELP YOU DISCOVER THE SHOT. 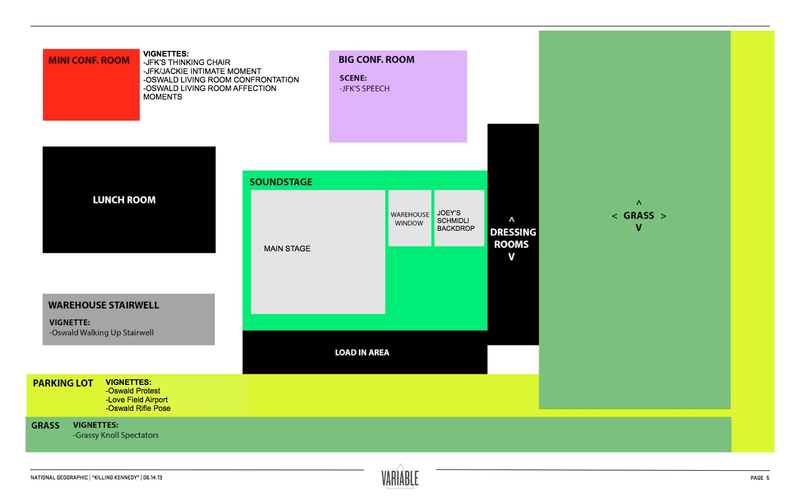 As I’ve stated in previous posts, it’s critical when planning a shoot of this size to not forget about the needs of the print and stills team. In this case, we entered the shoot with a detailed shot list and a whole series of concepts that we wanted to capture. However, unlike with “Killing Lincoln” I entered the shoot with a bit of concern because I had not yet imagined what that key unforgettable image would be. With Lincoln, it was all about the two principal actors looking down the barrel of the lens right before the shot was fired. Simple, and unique and arresting. For this film, we had a few different challenges. We struggled with how to get Oswald and Kennedy in the same frame because they were never close to one another in proximity at the actual event to use a Lincoln-esque juxtaposition. Second, we knew that unlike the Lincoln story, “Killing Kennedy” also told the story from the wives’ POV – Jackie and Marina’s stories and perspectives. Jackie is such a huge part of the story, it would be difficult to not include her in some way. So the night before our still shoot, with sketches in hand, Joey and I looked at every angle around the limousine, trying to find a great angle to capture JFK and Jackie. 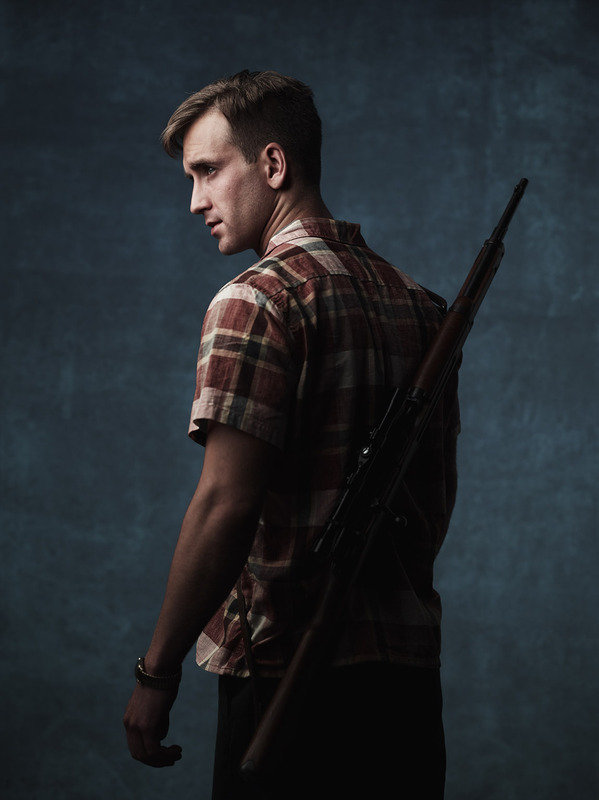 We would of course shoot many gallery portraits of all of the characters – but how would we best capture the moment before the assassination that is so well known – but in a new and fresh way? We had plenty of sketches and concepts for incredible art, but we weren’t sure which would be ‘the one.’ So on day 2 of the shoot, which was going to be the big day for still photography for Rob and Ginnifer in the car, Joey started shooting. As Joey directed the talent and got them comfortable in the moment, suddenly something magical happened – and Ginnifer put her head on Rob’s shoulder and started to cry. It was an incredible moment and Joey went with it perfectly – this was The Shot we had been looking for. As JFK was looking into ‘the crowd’, Jackie had her head on her husband’s shoulder, as if she was mourning her husband before he even died. It was unique, impromptu, and brilliant. In the end, Ginnifer found that moment we wanted. And once again, Joey’s ability to pre-prepare and collaborate not just with his client, but his talent and the entire production team gave us the flexibility and time to allow it to happen. The print shoot wasn’t wedged in sideways, around the video team’s priorities. We gave it the time, and the space, and the breathing room to find and shoot exactly what we needed. In the end, it was not the key art – we used a photo of Oswald and JFK – but it was a stunning image that reminded me of what can happen when working with incredible talent. Ginnifer Goodwin and Rob Lowe. Photo by Joey L.
Behind the scenes of Joey L shooting ‘the shot’ with Rob and Ginnifer. TAKEAWAY #5: YES, SHOOTING IS HARD. UNLESS IT’S WITH AN 8MM CAMERA. One of the most fun parts of this production was that we had two 8mm cameras on set to shoot our snapshot memories sequences, and with the crew spread between so many sets, Jon Bregel offered me one of the 8mm cameras and said “shoot!” It was awesome, and refreshingly simple to do. I think one of my shots even made the final spot, or at least I like to think that’s the case! At one point when we were outside shooting a scene with Will (re-enacting the iconic shot of Oswald with his rifle and papers) Jon asked me to shoot a little footage with the Red Epic. It had a tilt-shift lens on it so that you can shift where the focal point is within the shot, leaving some parts defocused and other parts sharpened. Let’s just say with me shooting that it was a #productionFAIL but I definitely had fun, and newfound respect for Jon’s skills shooting with this setup. But I also appreciated and respected how free they were giving me a camera and not even thinking twice about it. It’s not often that the client can break that wall and not only collaborate – but shoot, too. And the promo and behind-the-scenes video were both picked up by the Huffington Post in this article. Below are a smattering of other materials cut from those two days in Richmond. In addition to the promo content, we set out with a slightly different goal for our behind-the-scenes shoot than previously. We wanted to tell a richer story than we had in prior BTS pieces, something that went deeper with full interviews with the people on the team. Cinematographer Cale Glendening shot the entire 3 day shoot and prep, and the video below (edited by Ian Rummer of Crave Media) gives a great feel for the production. Thank you to the many, many talented and creative people who worked so tirelessly and collaboratively on this entire project. And a huge thank you to Rob Lowe, Ginnifer Goodwin, Will Rothhaar and Michelle Trachtenberg for bringing their talents and a collaborative spirit to the set, it made for an incredible production.